Coughing and spluttering passengers are the most frustrating aspect of sharing NSW public transport, an NRMA survey has found. Coughing and spluttering passengers are the most frustrating aspect of sharing New South Wales public transport, an NRMA survey reveals. 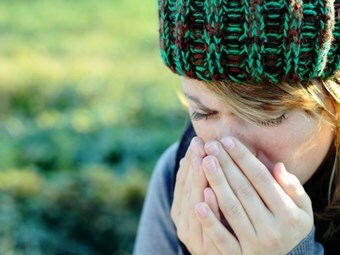 The survey, which sampled more than 720 NRMA members, reveals that almost 50 percent of respondents find coughing commuters most frustrating, while 45 percent of people are most frustrated with loud conversations on public transport. According to the Live4 survey, 62 percent of those surveyed say they would drive to work if they had the choice, with 33 percent saying their work commute was stressful. The survey shows 24 percent of commuters spend up to one-and-a-half hours each day travelling to and from work –22 days a year – which is two whole days more than the annual leave for most working Australian. It also finds that 38 percent say the time they spend commuting is wasted time, with a third travelling up to an hour a day and almost one in six travelling more than an hour but less than an hour-and-a-half each day. The Live4 survey was conducted to tie in with the launch of Live4, website. Last week NRMA gave commuters the chance to escape from their daily commute by taking them on the Live4 the Journey Bus. The Live4 bus picked up commuters from busy, commuter hot-spots, taking them on a detour to test out Australia’s first Jetpack water-powered flying device on Sydney Harbour before dropping them off at work.